When it comes to innovation and technology in the spincast industry, Zebco seems to be setting almost unmatchable high standards. This is significantly exhibited by the numerous high tech products they give to their consumers. Specifically, they have the Zebco ZO3, a product that has numerous advantages to both the beginner and the professional. Anglers are not left behind in this as they too are able to catch medium-size fish with the Omega Z03. This piece aims at breaking down on the key features and hence pros of this product. The cons will also be highlighted with the necessary recommendations and solutions given. 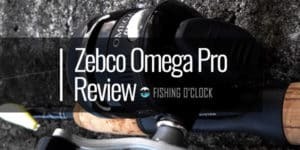 While spincast reels have been associated with poor quality that leads to excessive costs, Zebco have you covered with the Omega Z03 spincast reel. They have invested in strong aluminum for the covers of this product. The aluminum is likened to that of the aircraft, meaning it is able to last for a long period. Gears made of metal are also present. There is an additional rubber seal that serves both protective and comfort purposes to the user. It shows that Zebco took care of both the user and the product at the same time. They also included a line guide that is made of ceramic which ensures flawless performance by the product. For the anglers, the Omega Z03 spincast reel is able to serve them well in that it is both lightweight and long-lasting. You are able to save on expenses that you would have incurred in more complex tools. The Zebco ZO3,10, BX3 Omega Z03 Spincast Reel is easy to install on the rod. It is also easy to cast, making it the ideal tool for beginners. They are able to use the tool for a long time giving them numerous exciting experiences. The fact that Zebco invested in both the design and durability makes this product one of its kind. You are also able to set this product to fit either your right or left-hand recovery options providing for the flexibility aspect. The bearing system adopted by Zebco cannot be matched to any other product in the market. This is because the system includes a roller bearing that is coupled with 6 ball bearings that facilitate the smooth movement of the line. This shows that by using this product, you will be a unique yet efficient fisher. The bearings are also smooth which ensures that there is no noise as you go on with your fishing expeditions. Noise is not a desirable feature especially to beginners who have not yet mastered the art. This makes this product the perfect choice for all. Besides, the fact that the ball bearings are made of stainless steel ensures that you can use the Omega Z03 in both salt and freshwater bodies. Therefore, do not have to worry over replacing either the roller bearing or the ball bearings. The unique gear ratio put in place by Zebco ensures that the device is fast and efficient at the same time. As such, it works perfectly with crankbaits. With a line capability of 85yards, it is recommended that you use the Omega Z03 with a line weighing approximately 10 pounds (10-pound line). It, therefore, shows that this product will be ideal for bass fishing. It is therefore clear that this device is unique in the sense that it is easy to use, it is durable, and it is ideal for all types of fish hunters. 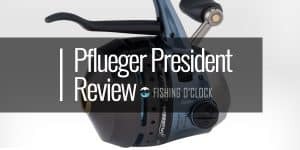 Unlike other spincast reels that are normally associated with poor quality and weakness, the Omega Z03 is a strong tool that is wired with the latest technology in the industry. It does not limit your hobby as it ensures you enjoy every bit of your wonderful experiences. Despite the fact that this product possesses great features, beginners have stated issues of line fraying. However, with a careful study of the detailed manual attached when you purchase the product, you are not supposed to encounter any major issue. Read on to find the list of the most popular spincast reels ever. 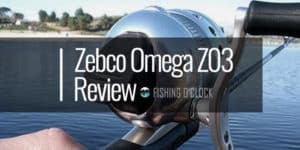 It is clear that the Zebco ZO3,10, BX3 Omega Z03 Spincast Reel is a modern tool that fits the needs of all fishers. It is equipped with modern technology that makes it have a cut above other products in the same price range. With the unique bearing system, durable components and the ease of use, this is the perfect accompaniment in all your fishing related activities. What’s best is that you can use it as a beginner or even the angler. It will, therefore, save you great costs as it is priced with the user in mind and serves many purposes at the same time. However, as a beginner, you should strive to get much from the manual provided so as to avoid cases of frayed lines that could lead to disappointments. 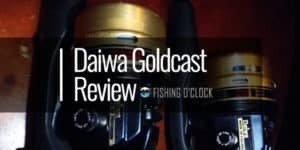 The drag system is anemic, as is the same for every spincast reel in the world, EXCEPT the very rare and few spincast reels with a STAR DRAG system and multi drag washers. ZEBCO, wake up! The parts schematic shows NO drag washers! ZEBCO still uses that lousy antiquainted thumb wheel crimp drag technology….a proven loser!